Firstly, you need to decide on what kind of printing you want to do. 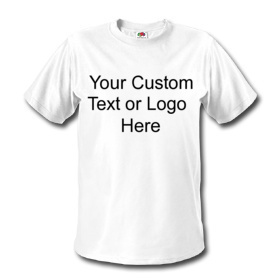 Screen printing is the tradition for T-shirts and is a long running career, but lately, digital printing is often used for more short running situations. Next, you should initiate a budget. How much are you willing to spend to start-up the business? Based on that, you purchase an appropriate printer, a few t-shirts and other accessories. A decent screen printing business can be initiated under $10000. If you have a lesser budget, you can use more basic, homemade equipment. Next, make a business plan. Figure out which market you are going to target? School children, university students, or maybe tourists? Use different marketing techniques including an online presence to spread the word. Once this is done, do your research on the prices of printed T-shirts being sold in the market. Make your price list based on your cost and competitor prices. Establish your terms of payment and delivery such as cash on delivery and credit sales. Finally, rent a shop and set it up with your equipment. Make sure to test your equipment before you begin sales. I found this informative and interesting blog, so I think so it’s very useful and knowledgeable. I would like to thank you for the efforts you have made in writing this article. I am hoping the same best work from you in the future as well. In fact your creative writing abilities has inspired me. I really thought that blog is spreading its wings rapidly..
Ususally all people likes the round collar shirts.U gave a idea regarding tshirts printing.Its really good..Keep it up..
How to become slim and beautiful? Does my partner is possessive?